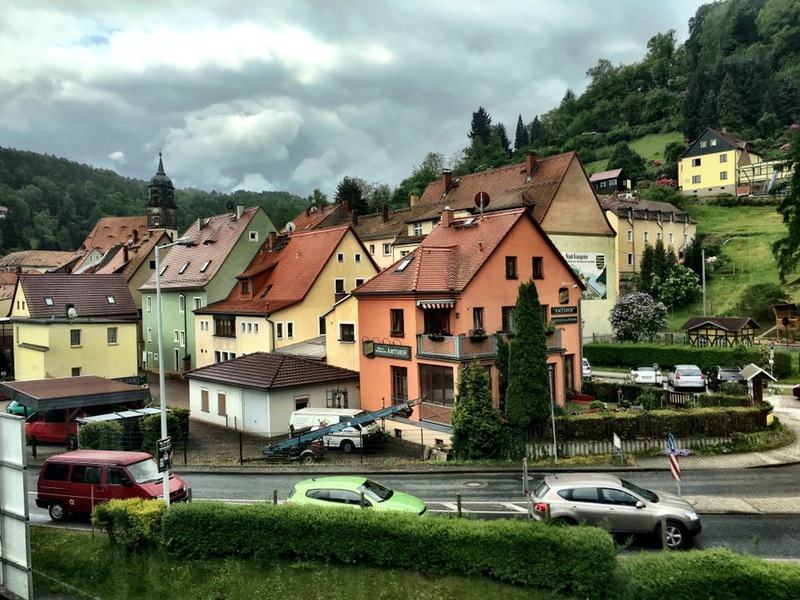 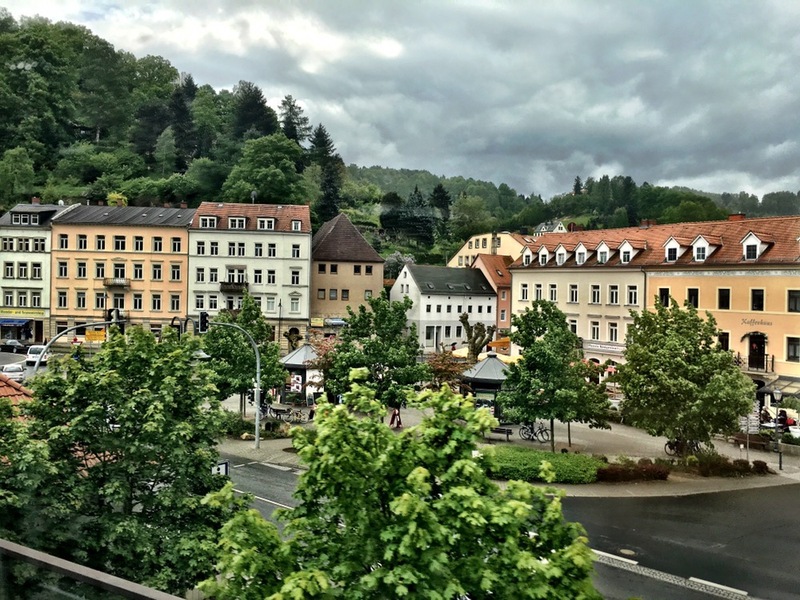 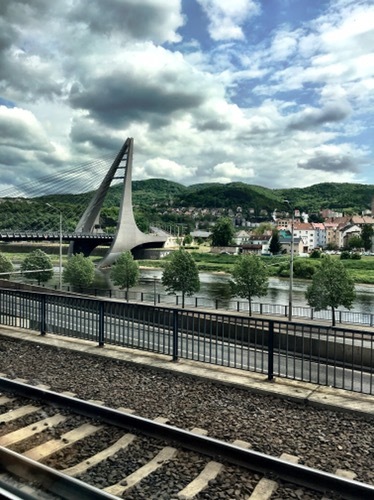 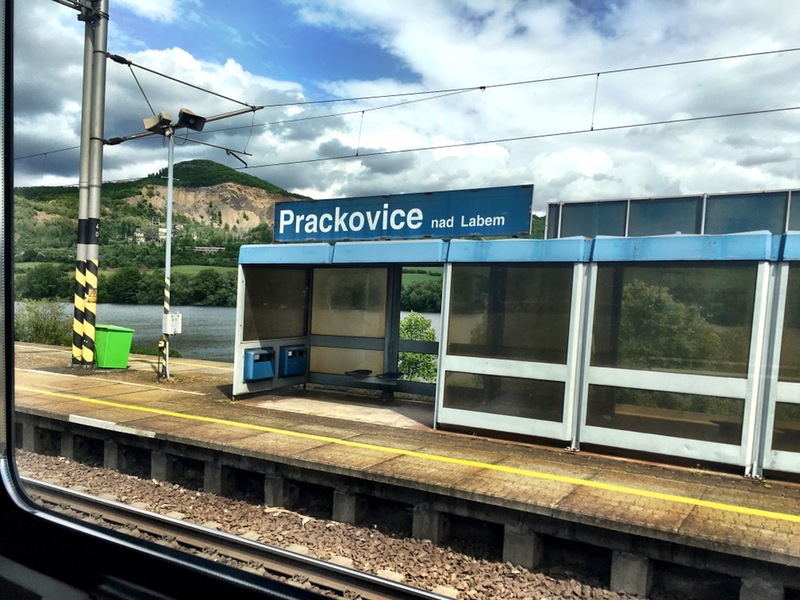 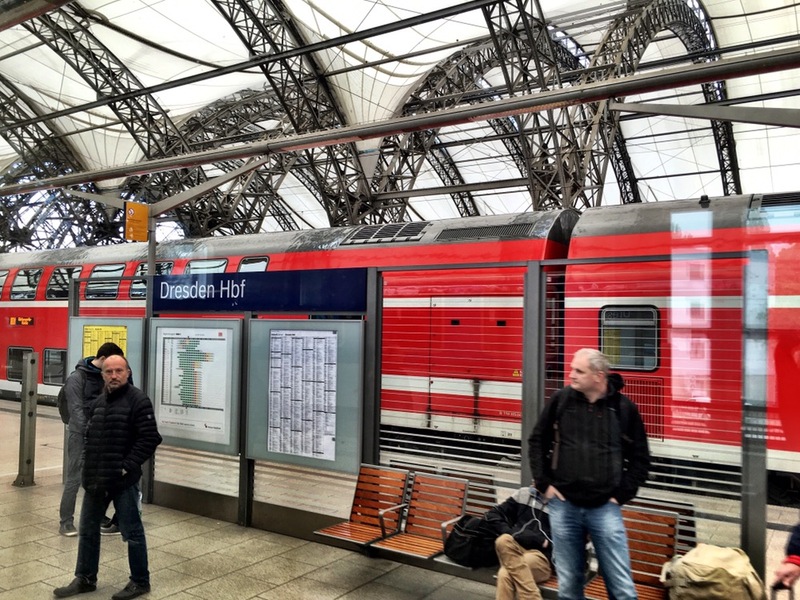 Train rides from Berlin to Prague generally take about 4 – 5 hours. 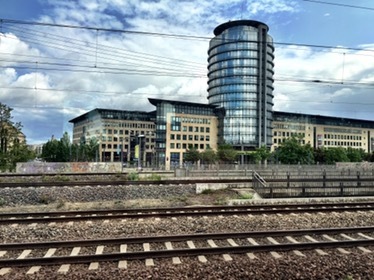 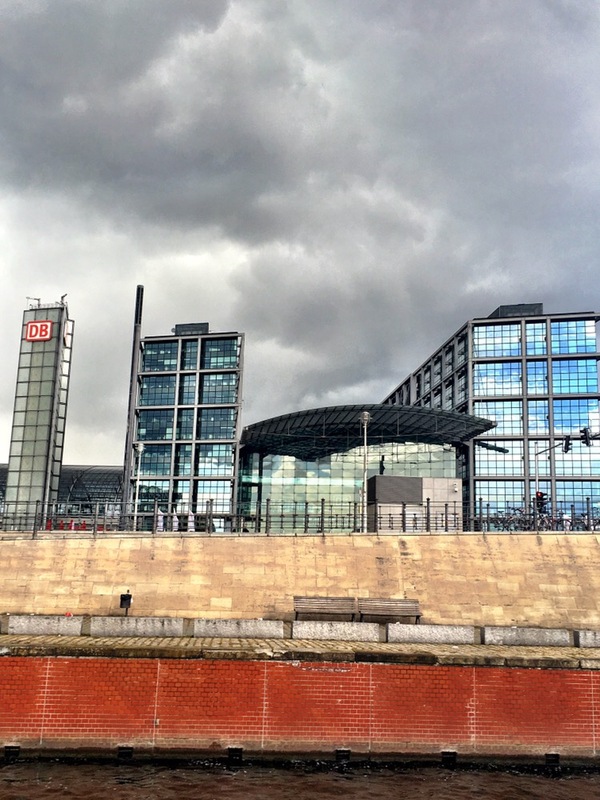 In Berlin, it is most convenient to take the train from Berlin Hauptbahnhof (main station) via the Direct Deutsche Bahn (DB) or Czech Railways (ČD) trains. 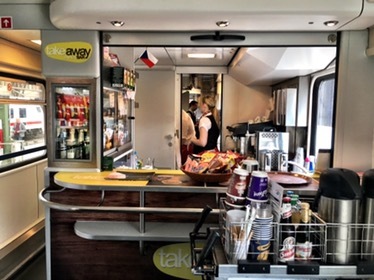 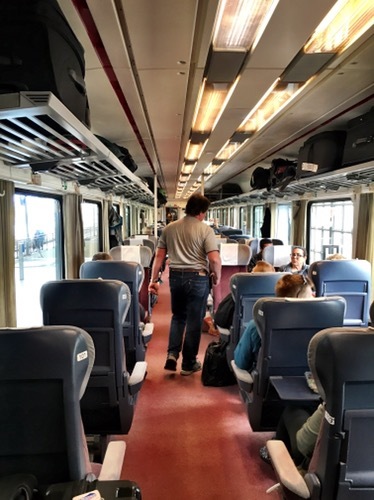 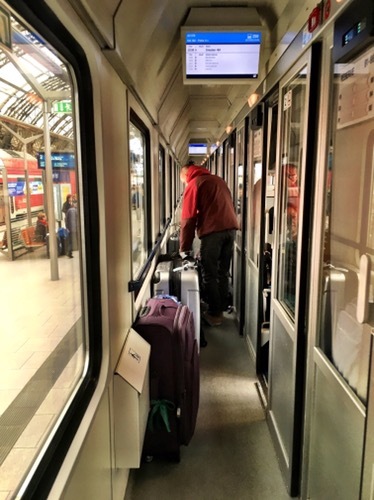 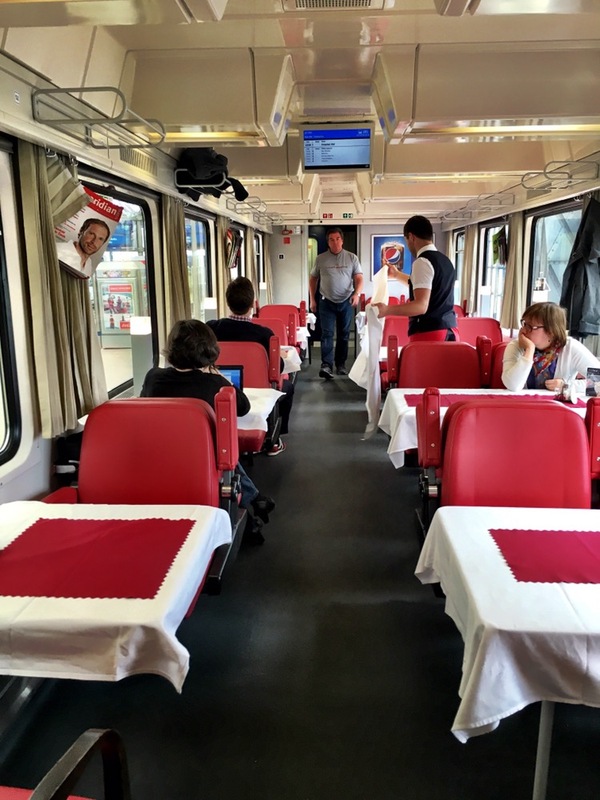 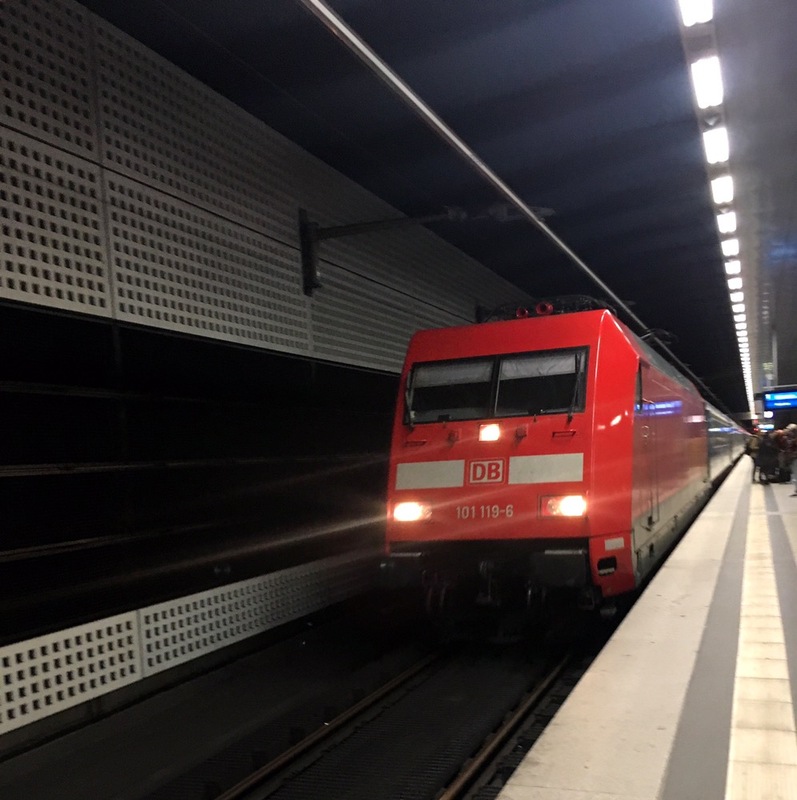 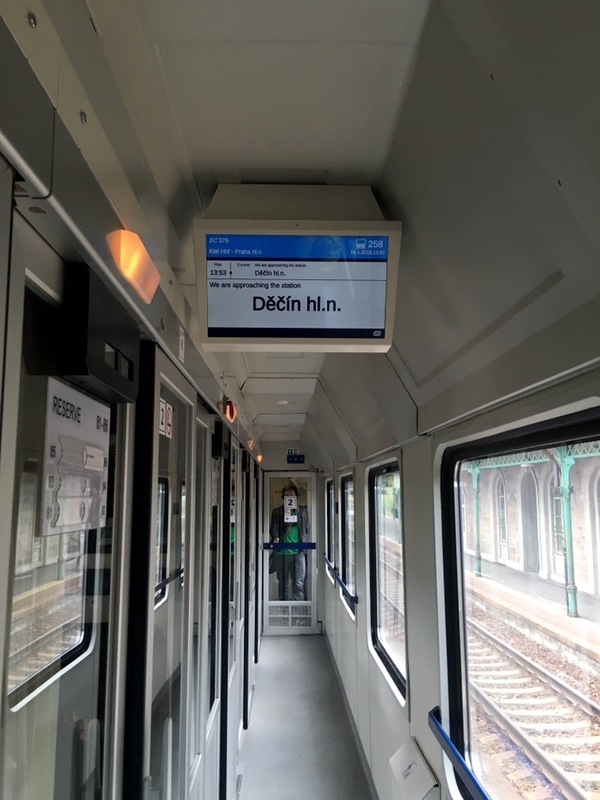 Photos in order – Berlin main station, the train we took, Dresden station and vicinity, inside the train where passengers place luggages along the corridor, train restaurant and dining area, first class coach. 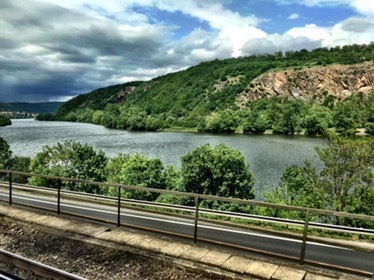 Sceneries past Dresden towards Bad Shandau and Czech Republic was really nice. 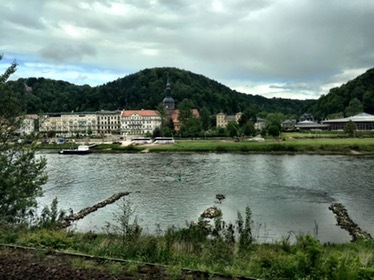 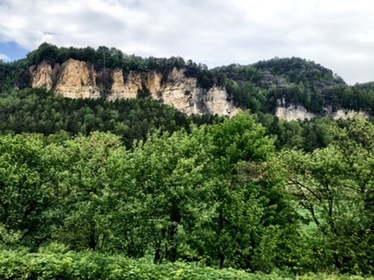 Houses along the Elbe river, hills and the Bastei rock formation which was amazing but passed so quickly we couldn’t take any photos. 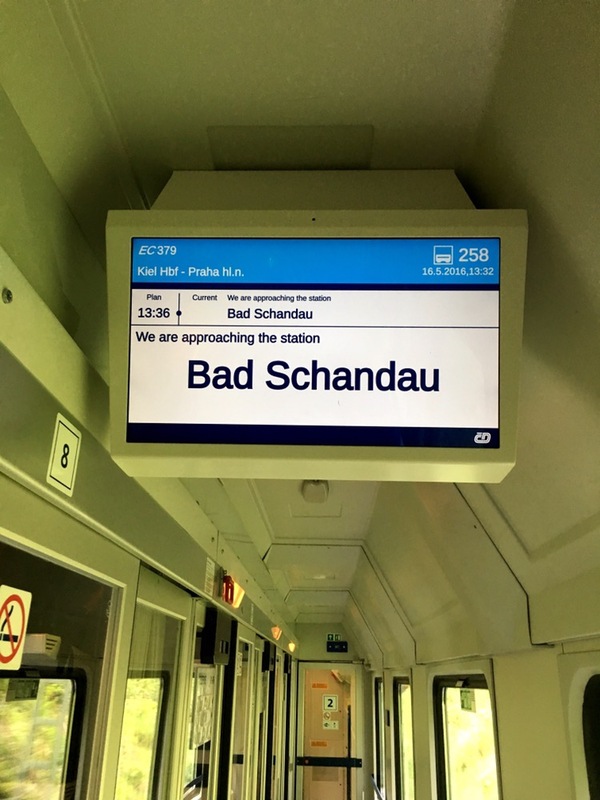 After Bad Shandau, we enter Czech Republic. 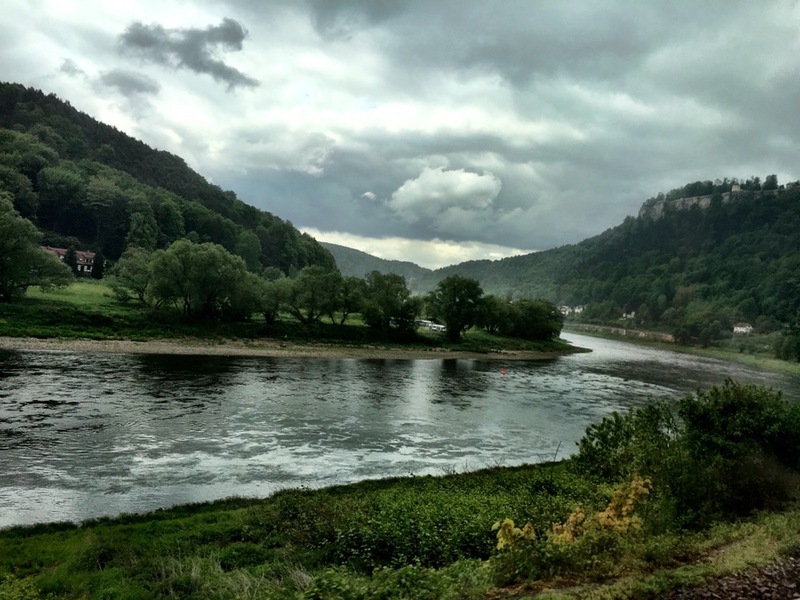 And the views were equally scenic. 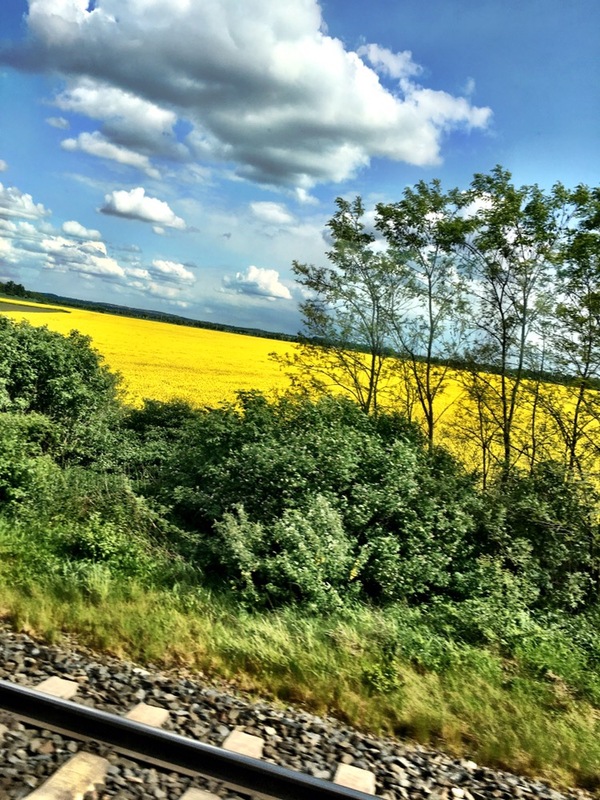 This made the ride rather enjoyable. 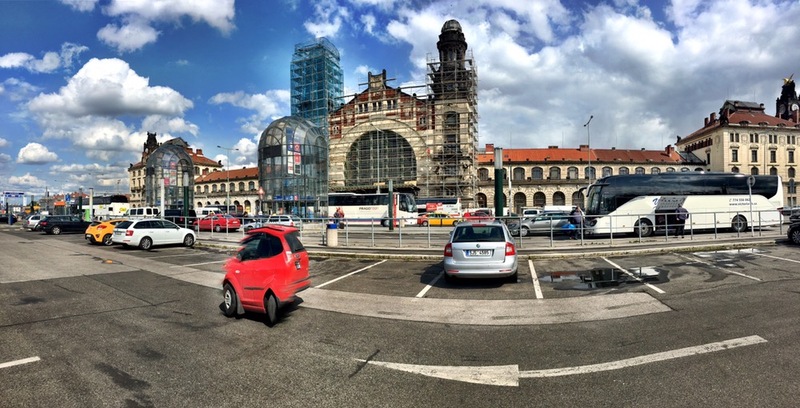 And we arrive at Prague’s main train station.